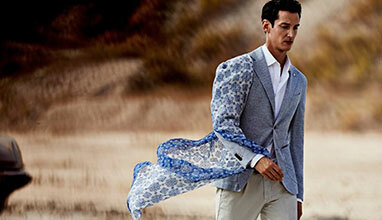 Tom James - Tom James Company is the world's largest manufacturer of custom clothing. They make high quality custom suits and custom dress shirts for busy professionals in Tennessee and the surrounding areas. They also provide all of the furnishings needed to complete your custom look. Their highly-trained bespoke tailors at Tom James of Tennessee come directly to your home or office, saving you valuable time. Nandwani's Custom Tailors - They have over 3000 swatch fabrics to choose from at very reasonable prices & their work is all 100% satisfaction guaranteed. Nandwani's Custom Tailors has been in business since 1974 and have been in Brentwood, TN. for over 15 years. 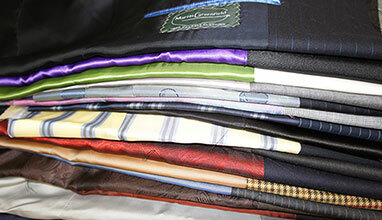 They offer you a custom tailoring service to meet your needs. With a constant eye on quality and service they are ever conscientious regarding pricing. They offer you real value for your money! If it is not convenient for you to come to them in Brentwood, TN. 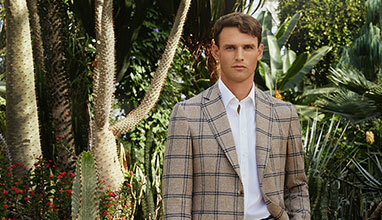 John H. Daniel - Today, John H. Daniel is proud to employ master tailors from around the globe. Tailoring only the finest fabrics from the world’s most renowned mills, John H. Daniel has become the leading source of custom clothing for fine retailers. Currently tailoring for over 600 private label programs through the United States, Great Britain, and Europe, John H. Daniel continues to innovate custom luxury tailored clothing. They combine the newest technology with old-world craftsmanship to create the highest of luxury with an affordable price. Combining one of the largest luxury fabric collections available with an endless array of styling options, John H. Daniel is able to offer retailers world-class custom suits, formal wear, sport coats, and trousers. They don’t carry pre-made inventories with fabrics or labels; they provide options for their retailers that allow them to create surprising, innovative, and sophisticated reinventions of traditional menswear with the colors, patterns, textures, details, and silhouettes that custom tailoring allows. Their reputation for fit and quality cannot be matched. Yacoubian Tailors - Since opening its doors in November of 1969 Yacoubian Tailors has been Chattanooga's premier destination for exclusive clothing. John Yacoubian began his career after training as a master tailor for thirteen years. He then received degrees in tailoring from "Ecole Professionnelle de Coup de Couture" in Paris, France and Gentleman's Garment Design in Chicago, Illinois. After making clothing by hand for over eight years Yacoubian Tailors incorporated ready-to-wear clothing from the world's top designers. With a discerning eye for detail Yacoubians has become synonymous with fine custom tailoring and designer clothing for both men and ladies. Stitch It and Co - With thirty-three years of experience serving Nashville, Stitch-It & Co. is bringing a new dimension of clothing to the menswear market. 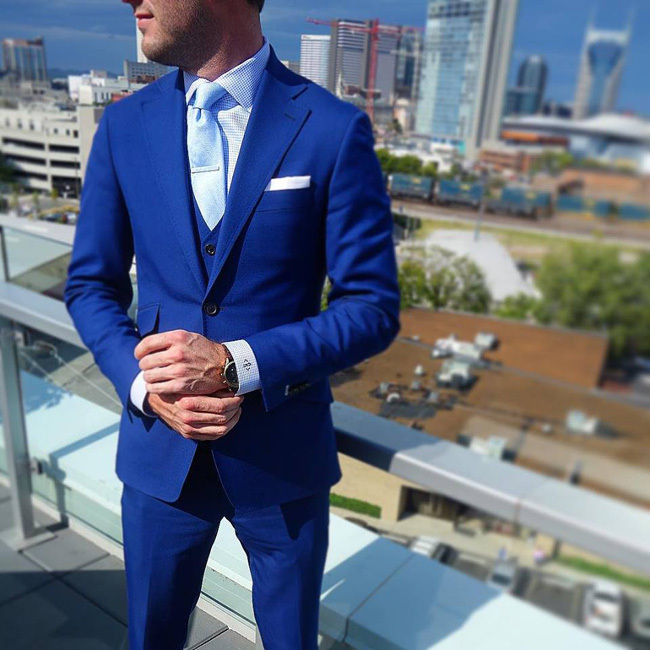 Presenting custom-made men's clothing, Loring & Co. Bespoke will bring the same attention to detail, style, quality, and fit expected from Stitch-It to the Nashville custom suiting market. Their philosophy is simple: one tailor from design to finish. No salesman, no cold calls, no off-site fittings, gimmicks, packages, or marketing strategies. Richards Bespoke - Nashville's Premier Custom Clothing Company offering true Bespoke Suits, Sport Coats, Shirts, Slacks, Jeans, Tuxedos, and Accessories. At Richards Bespoke, your custom tailored suit is made with fabrics from world renowned factories and mills all over the world including (but not limited to) Scabal, Holland & Sherry, Cerruti, and Dormeuil. After they take your measurements, you then select your fabric of choice and begin the design process. 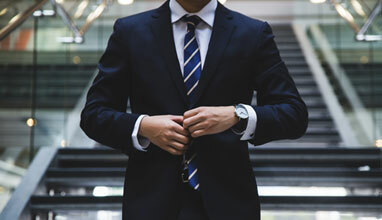 This includes buttons, lining, pockets, lapel, vents, as well as other design options that will insure your custom made suit is unlike any other. Brentwood Tailor Shop - They are proud to offer domestic wools, cottons, and silks along with superfine Italian wools and wool/cashmere blends. 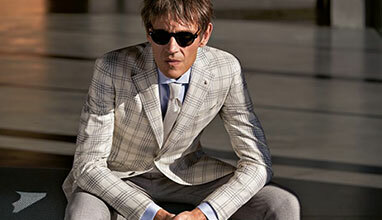 In addition, they have the pre-eminent Italian fabric house Ermenegildo Zegna available. These can be made in a variety of styles, from traditional to contemporary. 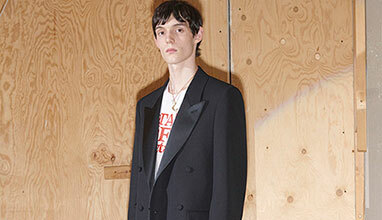 One, two, and three-button coat models, along with several double breasted models as well as western wear accompany a wide range of lapel styles and fashion options. Luxurious fabrics... Precise fit... Attention to detail. With over 800 fabrics from around the world to choose from, custom shirts have become more than an expression of fashion - they are an essential part of a well-dressed gentleman's wardrobe. The tailors take over a dozen body measurements as well as offer innumerable collar, cuffs, and styling options. Eric Adler - They understand that it may seem a bit daunting to order a custom suit from an online store, but they make the process simple. When you place your order, they will contact you within 24 hours via phone or email to begin the process of creating your next favorite suit. Over the phone they will schedule an appointment for you to come in and discuss your design goals, choose fabrics and record measurements. They have hundreds of fabrics and linings and dozens of buttons and thread options for you to choose from. This first fitting will take about one hour. The next step is construction of your suit. 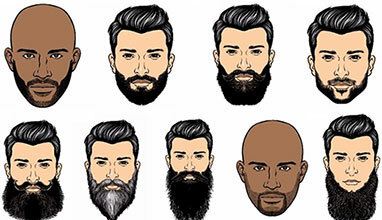 This process takes anywhere from 4-6 weeks. Once your suit is completed they will contact you to schedule a final fitting where they check the fit of your new garments and make any adjustments needed. Nothing short of satisfaction is accepted in this stage of the process. Alton Lane - Quality is always their top priority. From world-class fabrics and linings to premium finishings, they are committed to using the highest quality materials available. They have enlisted the craftsmanship of master pattern makers and tailors who construct your clothing with the utmost care and precision. They strive to deliver a precise fit based on your individual body by using 3D technology, select hand measurements and sample garments that allow them to gain more insight into your personal preferences on fit and cut. Dorien Gray - Dorien Gray is a collective of highly skilled artisans who dedicate their life’s work to the pursuit of beauty. Staying true to their bespoke roots and to preserve the integrity of their product, almost all of their pieces are hand made in limited quantities. A common thread through their designs is concentration to detail and uncompromising quality. They hold details in high regard as they can be the difference between good and great. They revel in the privilege of working with their clients and not being driven by “fly by” fashion trends. 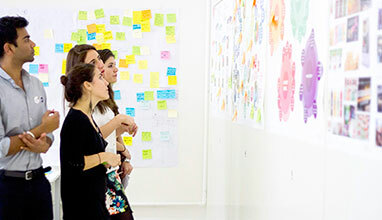 The collections are curated with a sharp eye for craftsmanship and intuition. Each Dorien Gray piece is created to transcend time so that it may be enjoyed for years to come.